It has now been two seasons since Kyrie Irving was blessed with his own signature footwear line. The short time span paved the way for plenty of storylines to come to life while Kyrie continued to create new ones on the hardwood. Now following his most memorable season yet, the story behind his Kyrie 2 signature shoe comes full circle with a new take on the classic “What The” idea. 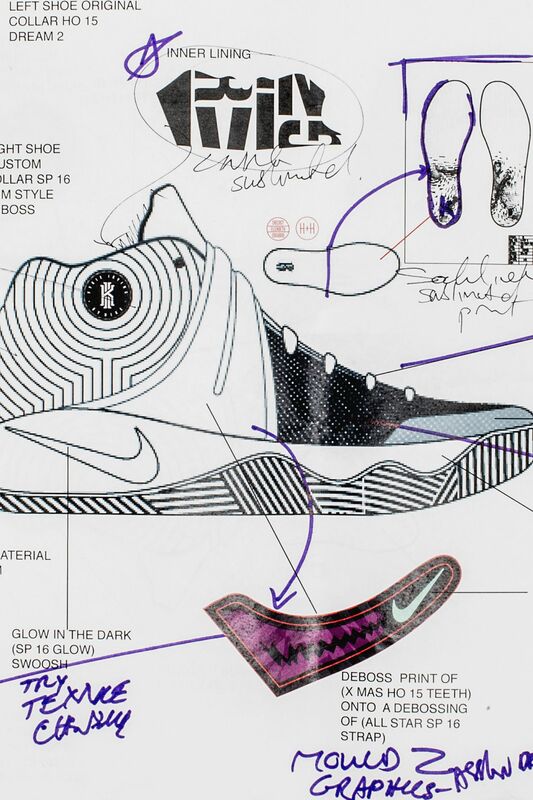 With that in mind, the team set out to find a new way to execute Irving’s first-ever “What The” design. That meant thinking past the usual graphics and color mash-ups. “For this one, we thought about it more in a monotone, sculptural, dimensional execution with very minimal color pops,” explained Chang. 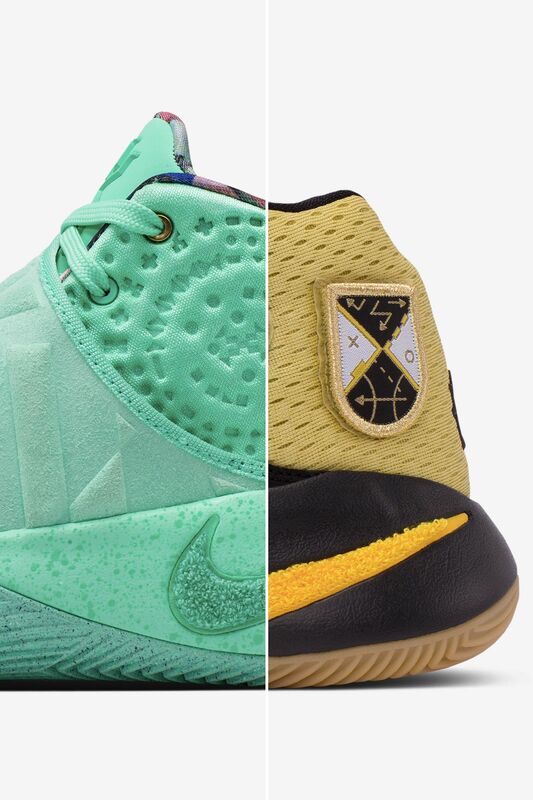 Graphics seen throughout the Kyrie 2 series were brought to life all over the “What The” shoe, from the BHM edition to the Inferno iteration. 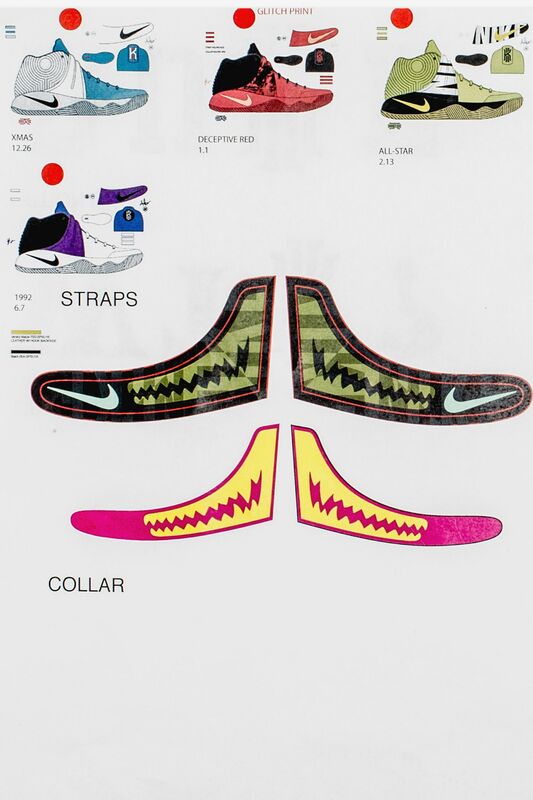 “There’s a graphic on the strap of the Inferno colorway, it’s an image of Kyrie doing a crossover. We thought why don’t we take where the ball would be in the image and turn that into the “Kyrache” logo and bring that back in,” Khachatourian further explained. Now incorporating the familiar “Kyrache” logo, the new take on the Inferno graphic is molded into the heel of the “What The’ Kyrie 2. 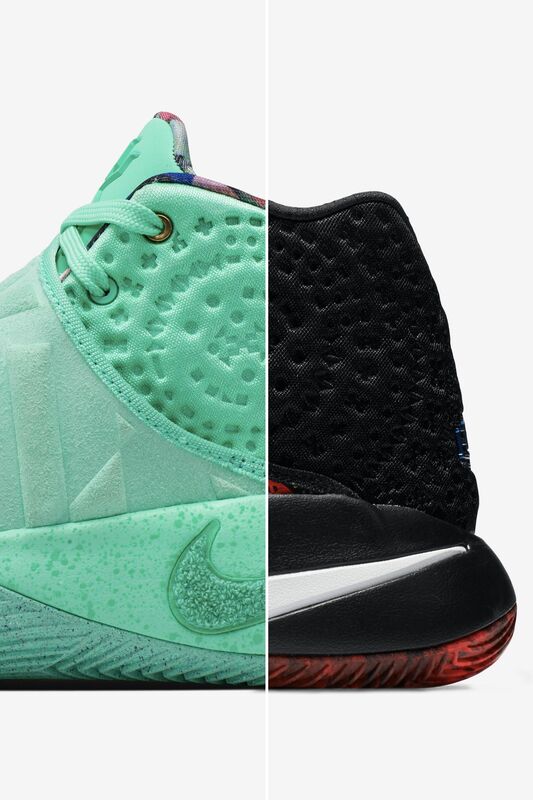 Adding another element to the evolved concept, the “What The” Kyrie 2 is prepared in two tonal executions. A tonal execution not only presents the idea in a new way, it also allows for another first in the series; multiple colorways. 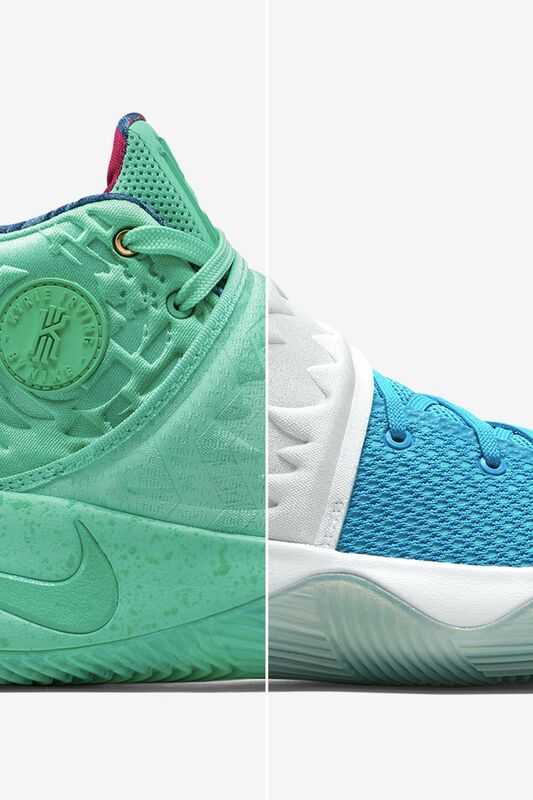 The sail-based execution nods back to the debut “Dream” Kyrie 2, while the green glow edition acknowledges the “Kyrie-oke” edition. Furthermore, the multiple colorways won’t be available in all the same places, bringing back that allure and need to hunt your pairs down. “To make it even more special, the sail colorway will be exclusive to North America and the green glow colorway will only be available in the rest of the world,” Onishi said. A shoe celebrating a legendary season wouldn’t be complete without a nod to Kyrie Irving’s first-career championship ring. “For his first championship, we have one gold ring (on the upper eyelet). We wanted to keep it unique so we did just one gold ring.” Khachatourian adds.